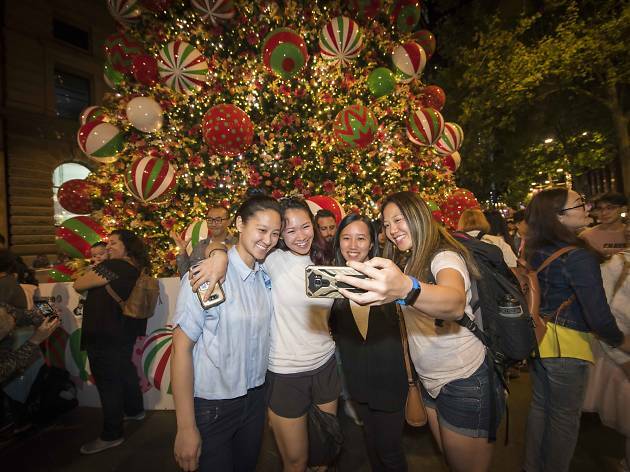 There are some pockets of Sydney that go all out for Christmas, and Sydney families make the most of the festive cheer, going on adventures around local neighbourhoods to see the extravagant light displays outside people’s houses. Local councils also host festive events and light displays where you’ll find carol signing, Christmas trees and spectacular light installations. 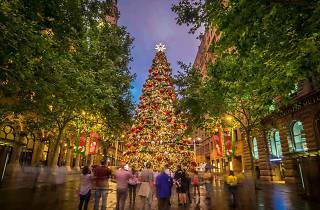 Find more Christmas events and activities, and be sure to fit in a day at the Christmas markets in Sydney for all your present-giving needs. There's a jewelled light installation in the Martin Place precinct. Crafted using thousands of individual LED lights, the festive decorations interpret the Roman jeweller’s most famous shapes. The shimmering display is on every evening from 6pm to midnight up until Wednesday December 28. Visit the dessert bar for gelato, housemade sweets, cakes, coffee, cold beverages and savoury options, with casual seating available as well as views of the interactive Christmas tree. 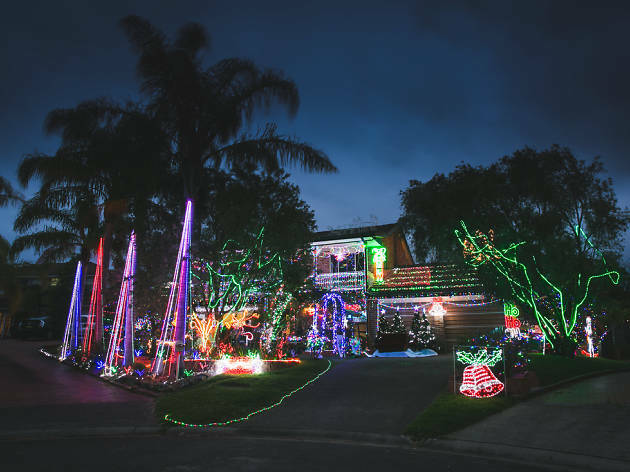 With approximately 85,000 LED lights, eight kilometres of cable lights, a nativity display, a winter wonderland and other displays, 10 Cambage Court is a Christmas must-see. Not only is this house one of the most spectacular home displays, but the residence also raise money for different charities each year, raising $13,500 in 2015. Dec 1-Jan 2. Daily 8pm-10pm (hours may vary). Take the whole family out for a walk on Sydney Road. With more than 50 houses covered in dazzling lights with special displays such as nativity scenes and sing-a-longs. Also worth visiting are the surrounding streets Brett Avenue, Margaret Avenue, Plateau Close and Ulolo Avenue. Dec 1-31. Daily 8pm. Free. Check out the display of exceptionally lit houses along Borgnis Street. This event has expanded every year and is now so remarkable that there are ice cream trucks daily and a sausage sizzle every Saturday. The street also collects money for children at the Bear Cottage Foundation. Dec 3-31. Daily 7pm-11pm. By donation. 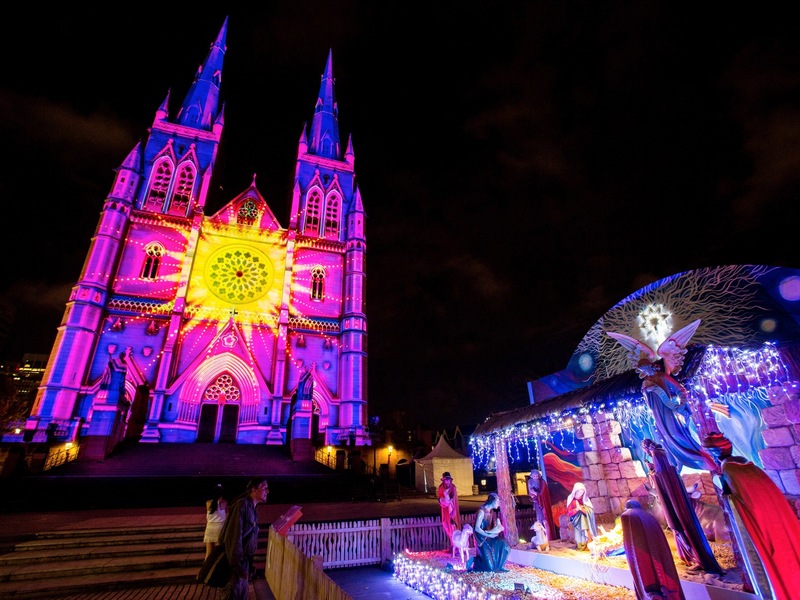 This extraordinary display includes more than 7,000 lights, music, movie features, an interactive display, a nativity scene, a roof display and a walk-in display. It'll definitely get you in the Christmas spirit throughout December. Dec 1-31. Daily 8pm-midnight. Christmas in the Southern Hemisphere means beach barbecues, long lunches and checking out the festive lights in the city. There’s no snow, sure, but we know how to party. 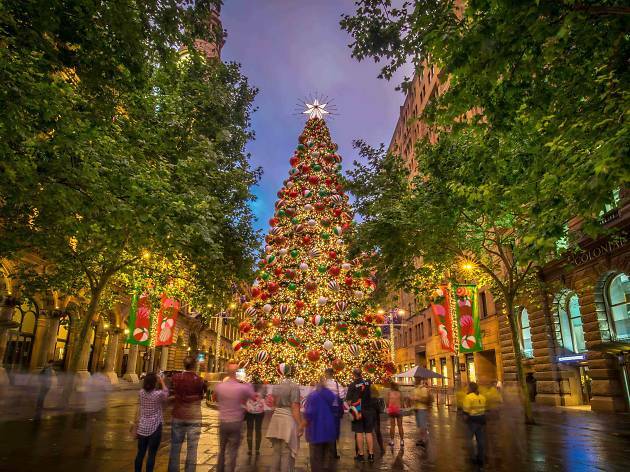 Find out where you can sing Christmas carols, shop at the Christmas markets, and get a head start on the Boxing Day sales.